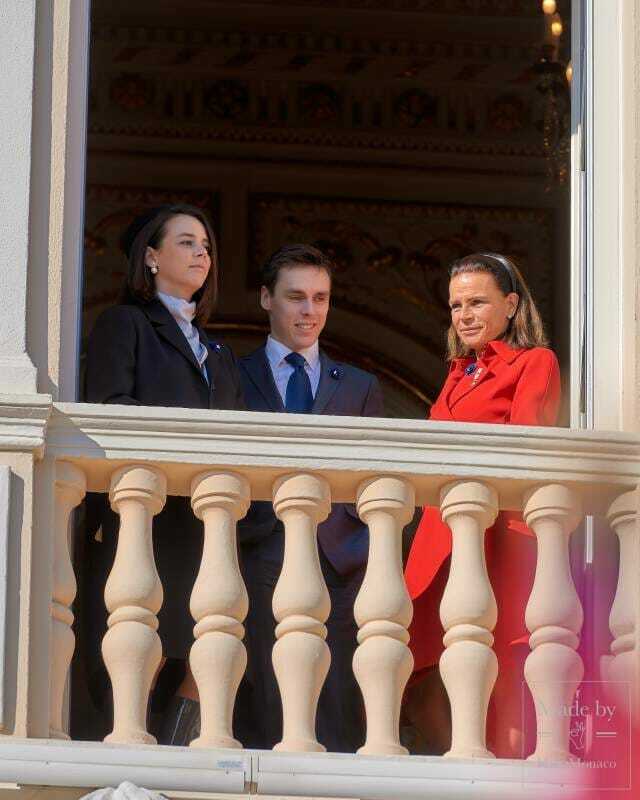 Monaco National Day: Long live the Prince and the Princess! 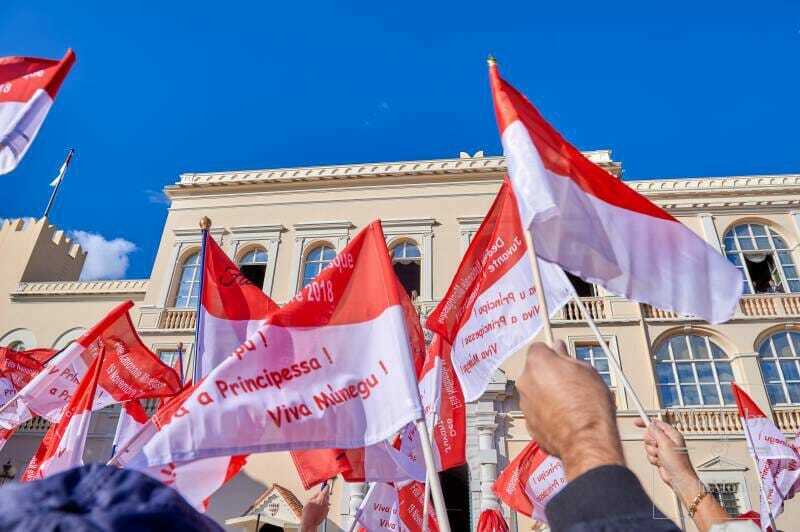 Home / News / Monaco National Day: Long live the Prince and the Princess! This celebration gets more and more patriotic as each year passes. 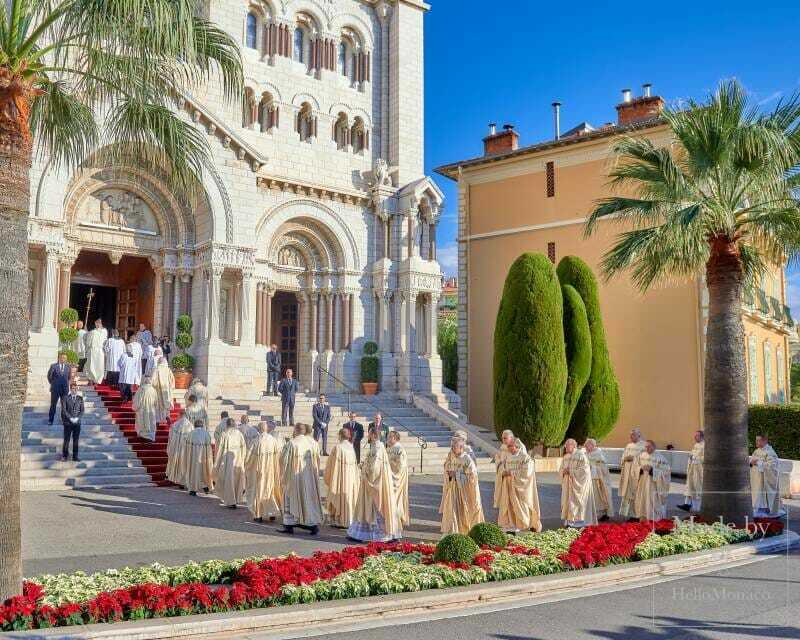 The decorations adorning the Principality’s streets, were impressive indeed in their splendour and scale. 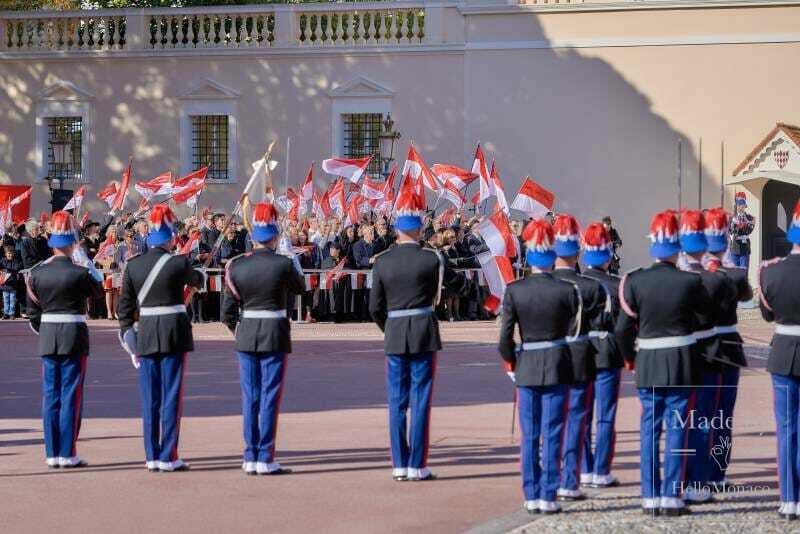 Monaco’s National Day is celebrated on November 19th and it has become a true demonstration of the Prince’s subjects’ loyalty to their State. 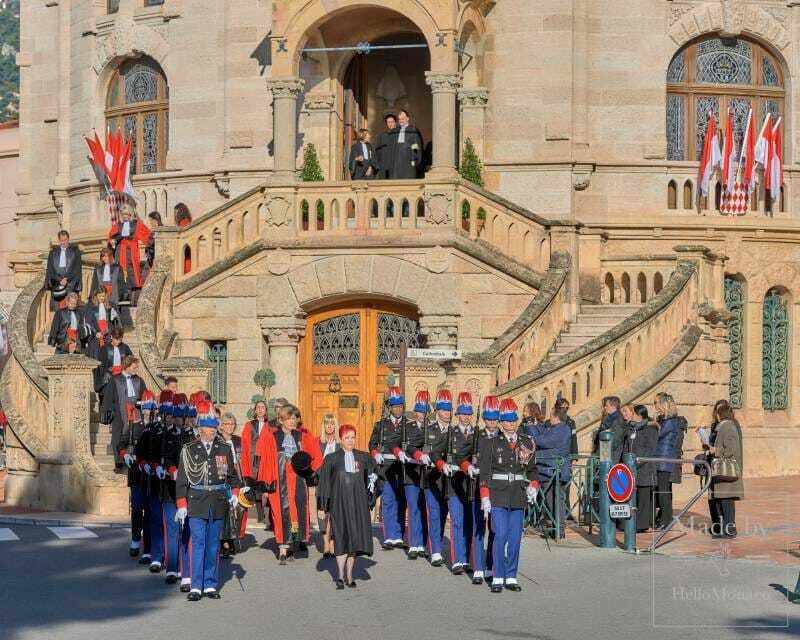 The festivities were opened by the ceremonial arrival and display of weaponry together with the awarding of special insignia and medals in the Courtyard (Cour d’Honneur) of the Prince’s Palace (Palais Princier). 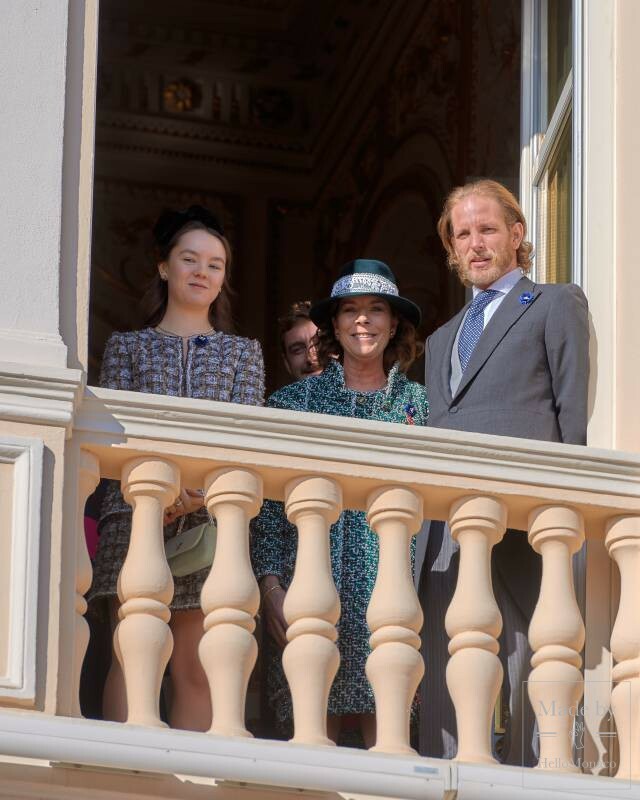 The guests were all eagerly awaiting the appearance of the Princely Family, who traditionally attend a religious service on this special day. 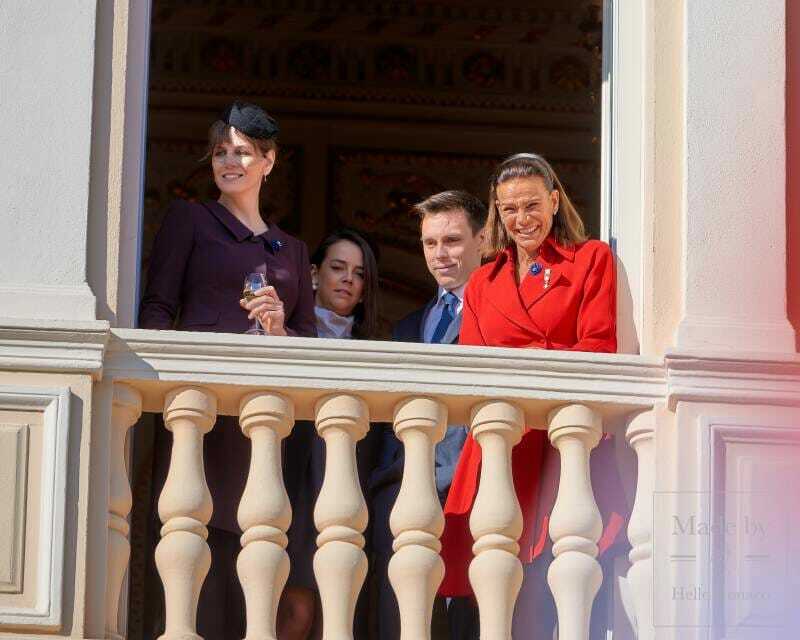 The HelloMonaco team managed to spot Pierre Casiraghi with his wife Beatrice Borromeo, Princess Charlene of Monaco’s brother, Gareth Wittstock with Roisin Galvin, Pauline Ducruet, Louis Ducruet and Marie Chevalier. 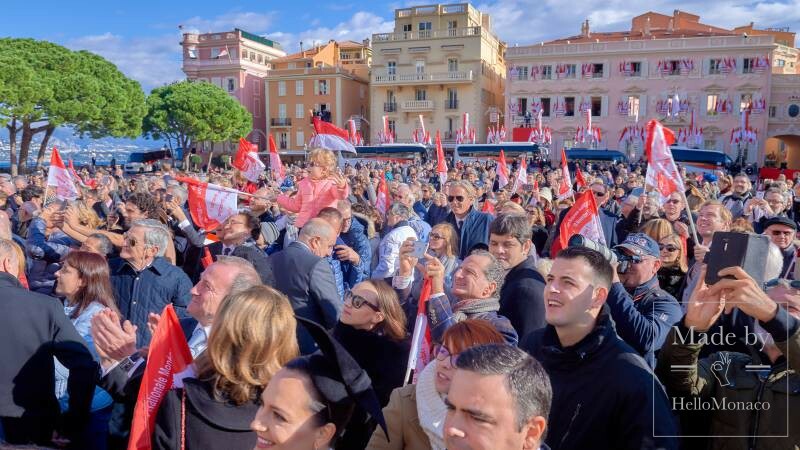 In addition to the Grimaldi family members, eminent politicians and personalities from the world of sports and culture were also present at the ceremony: Monaco’s Prime Minister, Serge Telle, National Council President, Stephane Valeri, and Joel Bouzou, accompanied by his wife Alexandra. 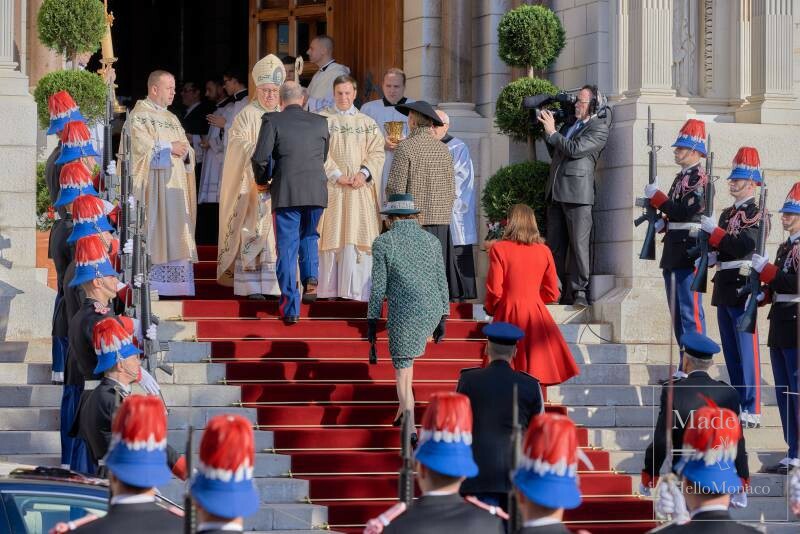 Prince Albert II and Princess Charlene, Princess Caroline and Princess Stephanie were escorted from the Palace to the solemn service held in the Cathedral. 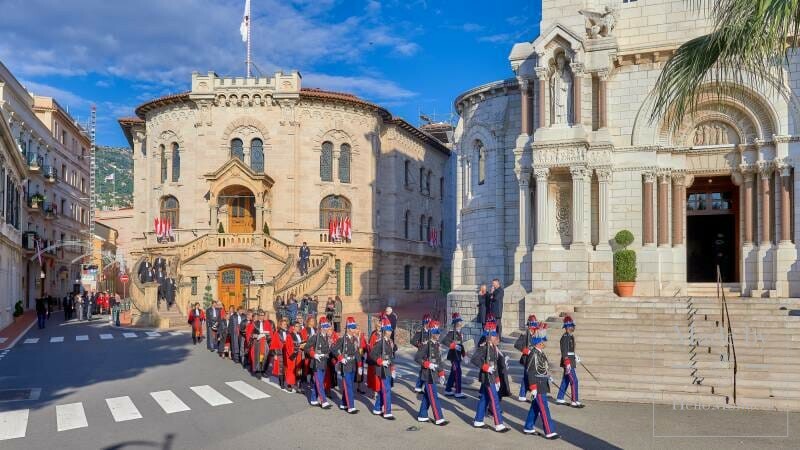 Then came the most exciting part of the Principality’s National Day, the arrival of the impressive weaponry and the military parade. 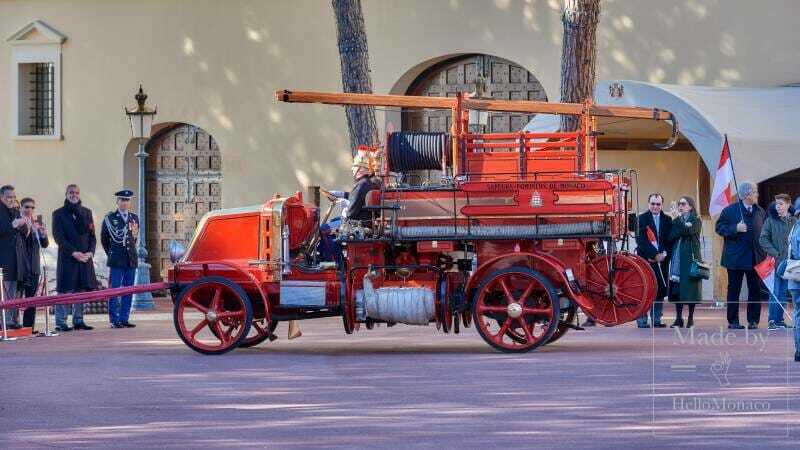 Every year one can expect to see some interesting innovation introduced to the festivities, and this time around was no exception. 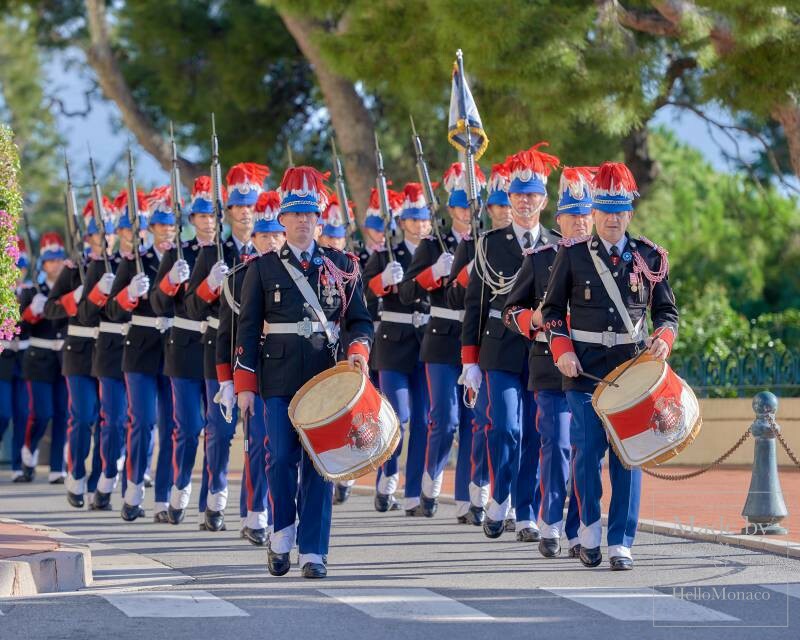 The parade was held in honour of the French infantry, (also called “the poilus” or the bearded) who perished in World War I. 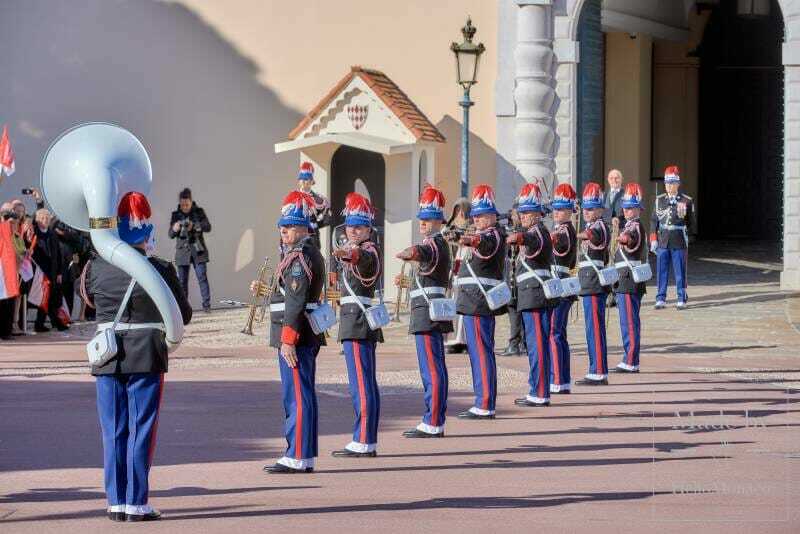 The parade participants were thematically dressed in the uniforms of that era. 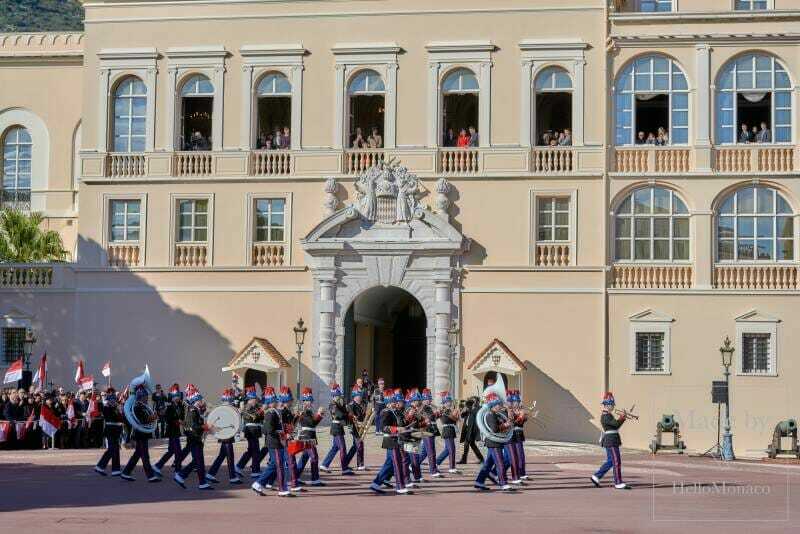 Following the Carabinieri Parade, there was a performance by the military orchestra and a procession of infantry on the Palace Square. 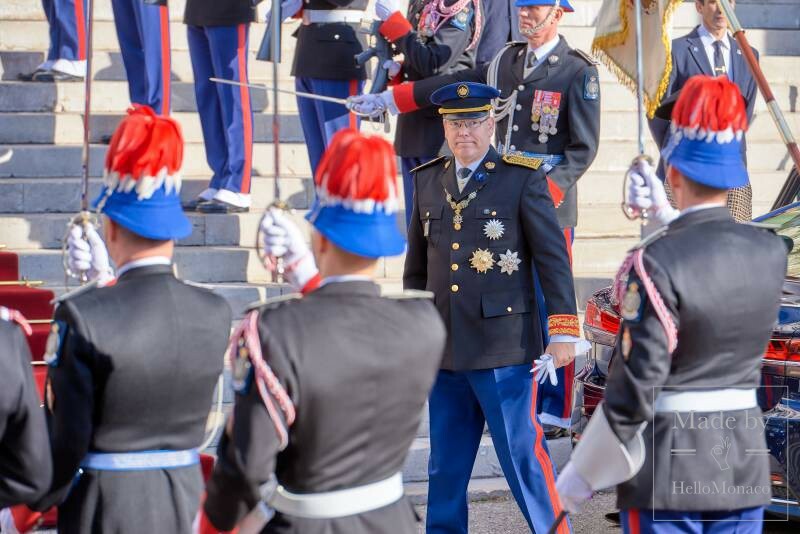 The Head of State reverentially awarded his subjects the Order of the Crown for their faithful service in 5 categories: Les Grands Croix, Les Grands Officiers, Les Commandeurs, Les Officiers and Les Chevaliers. 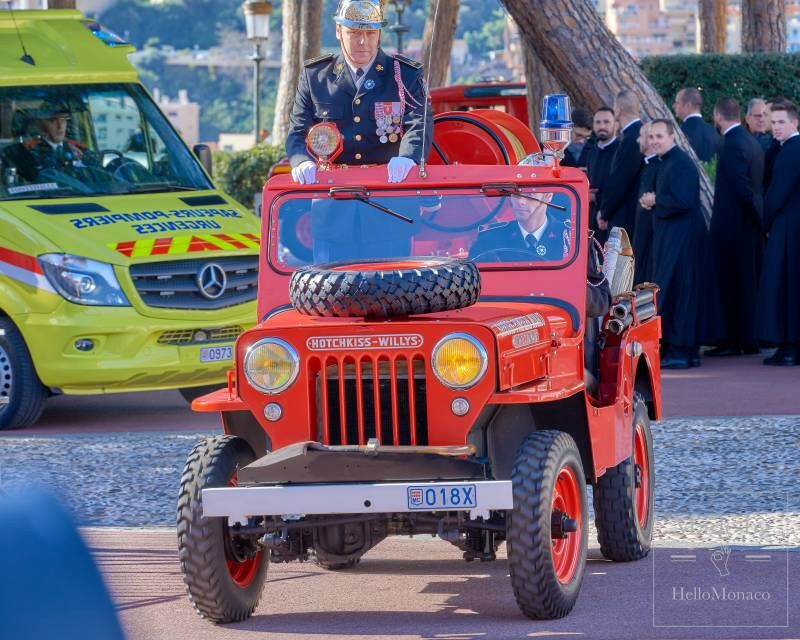 A truly amazing moment was the Official Vehicles’ Parade dating to different historical periods – the Commander’s Car from 1960 and the Fire Truck from 1911 among them. 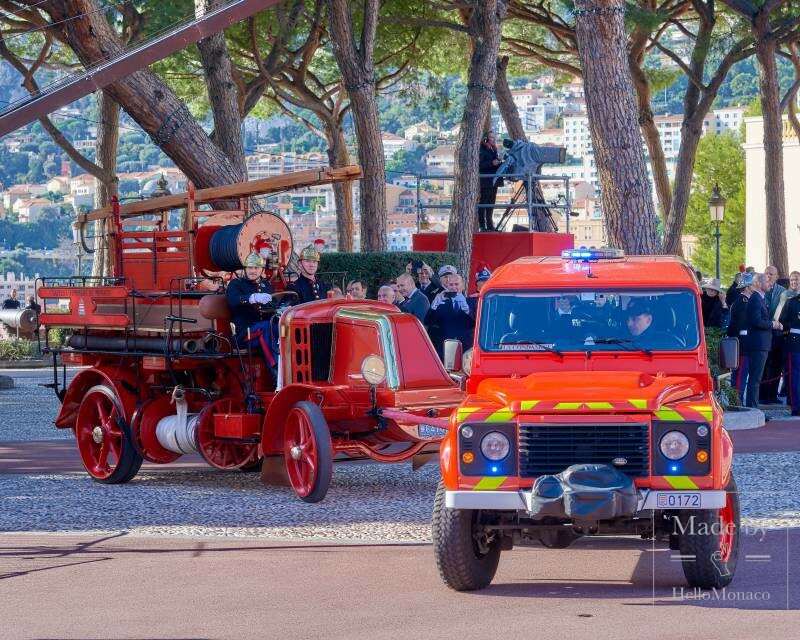 As for modern vehicles, one had the opportunity to see a new generation emergency car and a fire suppression truck. 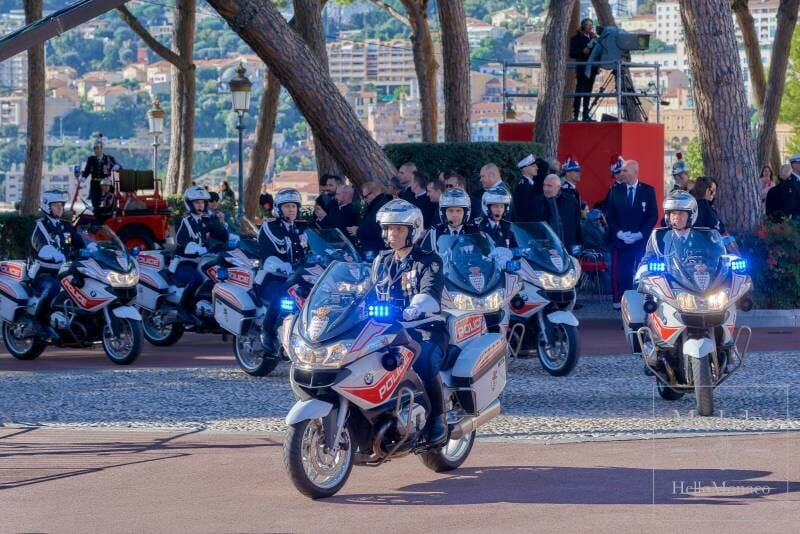 The Princely Carabinieri Orchestra really surprised the audience! 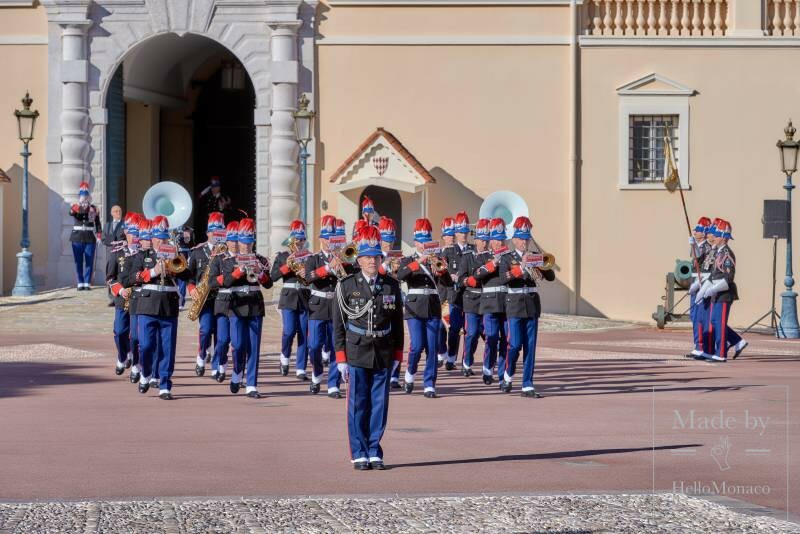 On top of the traditional Robert Bruce March for the Sovereign Prince surveying his troops, the orchestra performed some modern arrangements of Rogue One, a soundtrack to the new Star Wars series, music by Sebastien James “the Malizia”, a soundtrack to “The Game of Thrones” and a hit by the Imagine Dragons, “Thunder”. 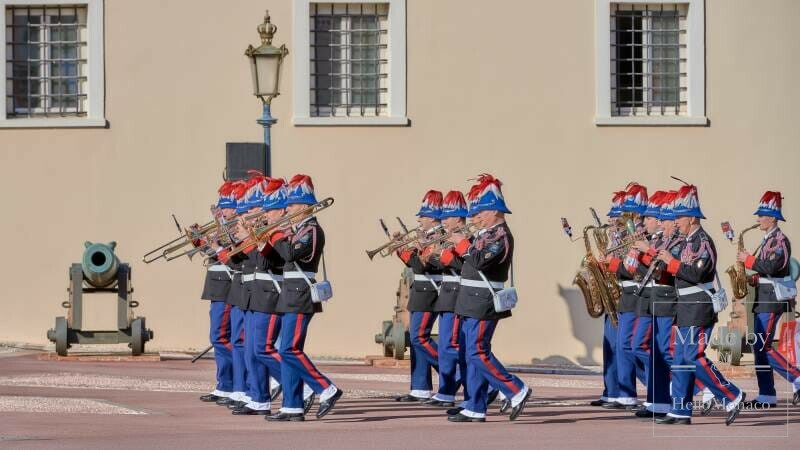 The variety of their performance just took everybody’s breath away! 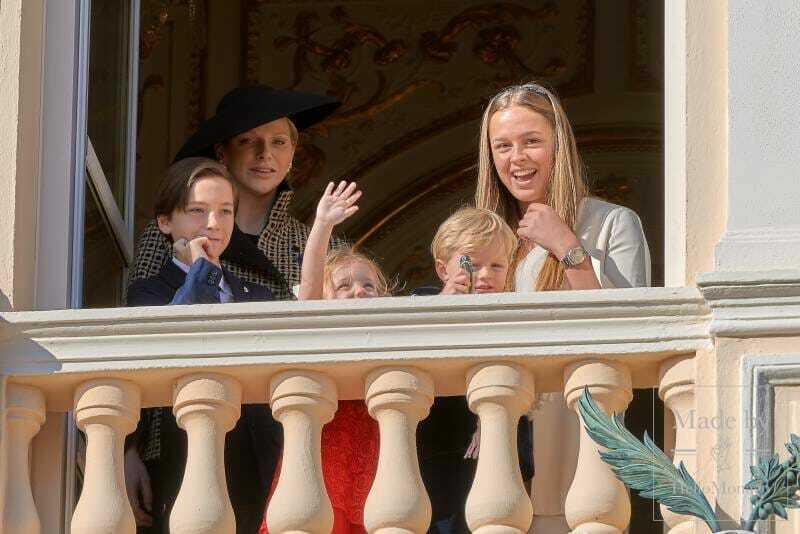 The final part of the celebration is always associated with the Princely couple and members of the Grimaldi clan greeting their adoring public from the Palace balconies. 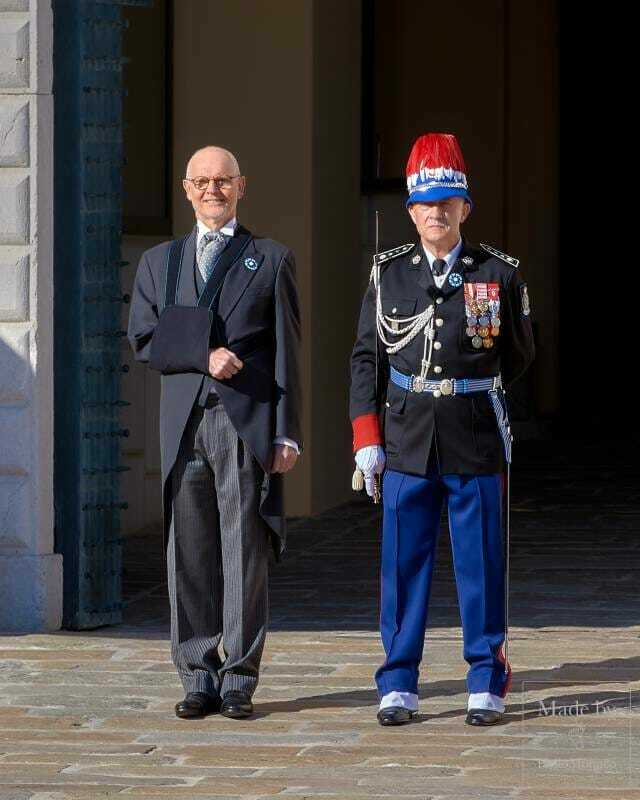 Every year Prince Albert II thanks his subjects for their patriotism and loyalty with a sincere smile and joyful greetings. 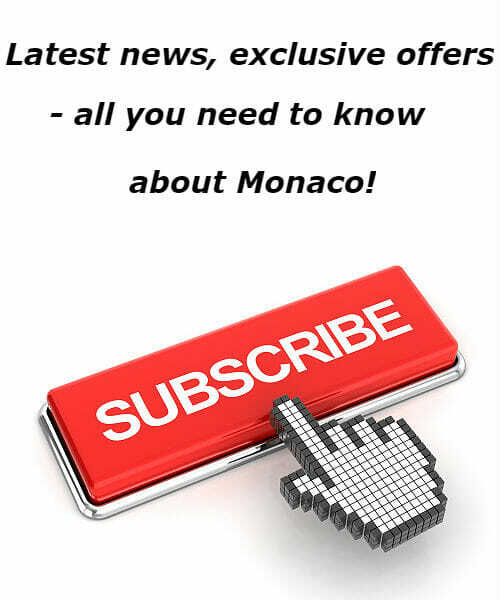 Long live the Principality of Monaco! 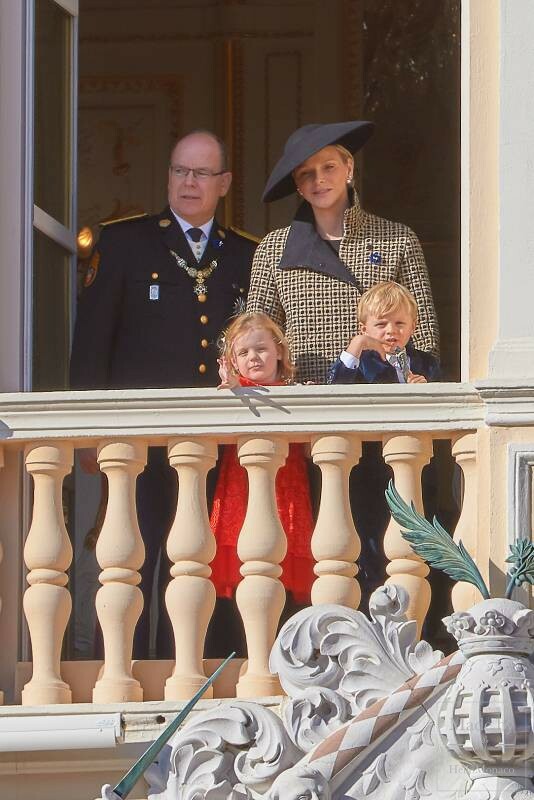 Long live the Prince and the Princess!